There are performing arts, medical arts, the art of science and then what I consider the real “Arts”. The River Arts District of Asheville is such a place. A decade ago, this 50+ acre area along the banks of the French Broad River running right through the middle of Asheville was an industrial wasteland, populated by a few manufacturing companies hanging on to life and lower income housing alongside vacant warehouses spray painted with graffiti. It wasn’t the kind of place you’d go even on a sunny day, much less find a good meal. Fast forward ten years and today you still have most of the same industrial warehouses and such, only they’re now occupied by dozens of artist studios, galleries, breweries and restaurants. New residential offerings are in the works throughout the area as The River Arts District of Asheville is now a vibrant, up and coming locale. One of the biggest single investments is New Belgium Brewery which will be the largest of Asheville’s two dozen plus breweries. But the real stars of the district are the artists. There are more than two dozen artist studios producing everything from ceramics to glass, from sculptures to textiles, from traditional paintings to jewelry. The creativity of these artists and craftsmen is astounding. What’s even better is that you can stand alongside the artists as they work their craft and converse with them as they go about their business. We had the good fortune of visiting with one such gentlemen, Stephen St. Claire located in the Wedge Building-Broken Road Studio. Stephen paints on metal, but with a twist. He’s created a new genre of painting called “Dailuminism” which means “light passing through”. 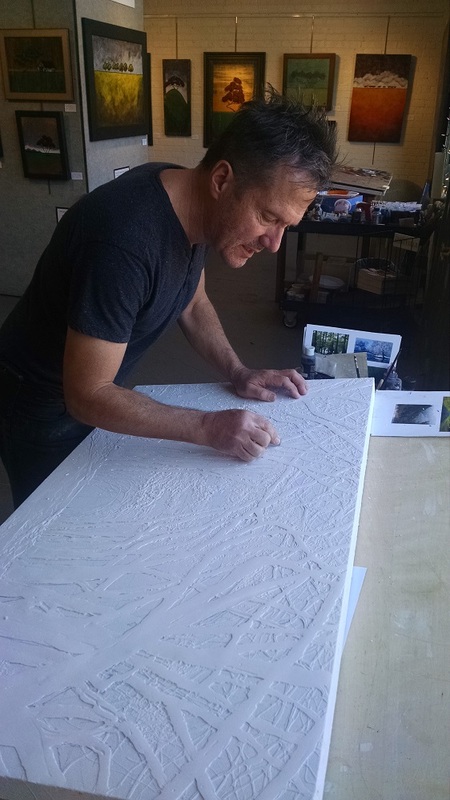 He starts by actually applying modeling compound to the surface, then carves out the main images of the painting, much like a bas relief. He then applies layers of Italian aluminum leaf followed by layers of oil paints. Once he has the colors he likes, he alternates the layering with clear art grade resin which gives the painting a rich depth. Light then passes through the resin and actually reflects off the innermost surface, back up through the aluminum leaf with an amazing result. The bas relief of the modeling compound gives it a 3D appearance. His web site does not do it justice. You must be seen to be appreciated. So next time you’re looking for a great way to spend a sunny day, drive over to the River Arts District, park your car and stroll the many studios, then cap it off with a delicious meal at one of ten restaurants such as White Duck Taco Shop, 12 Bones Barbeque or Cligman Café. Parking is free! How do you gauge the health of a master planned community? Look for new construction. If you drive through a development and all you see are empty lots, yet the community has been around a while, ask the question "Why aren't people building?" Its one thing for an individual to purchase a home site for a future dream home, but when that individual at a later date triples or quadruples the investment by building a house, that speaks volumes as to the confidence of that property owner. When you see numerous such homes going up in a single development, that is a great barometer of the health of a community. Here at Creston, the Cribbs on Lot C-34 recently broke ground on their new home, bringing the total of homes under construction in Creston to five! That is remarkable for what is largely a second home community outside Black Mountain. There are primary home subdivisions in metro areas that would love to have five homes under construction. 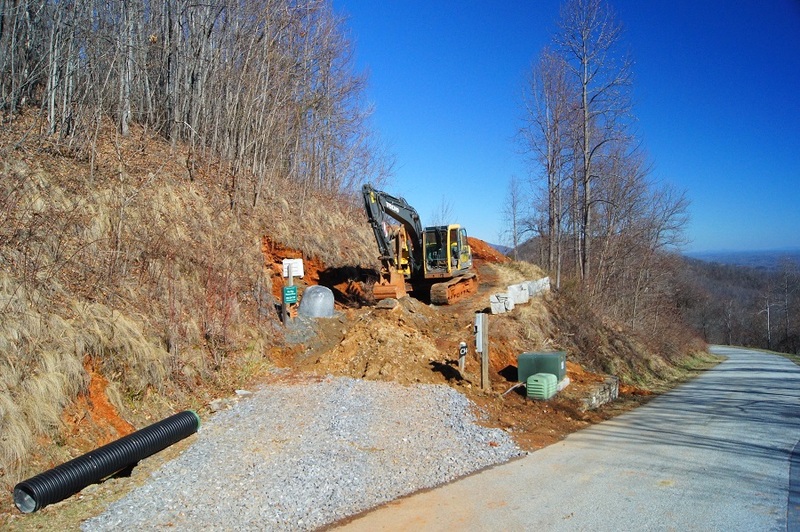 Randy Hughes of Blue Ridge Mountain Homes is the General Contractor on this new masterpiece. We look forward to watching the progress as it moves from a dream to a reality. 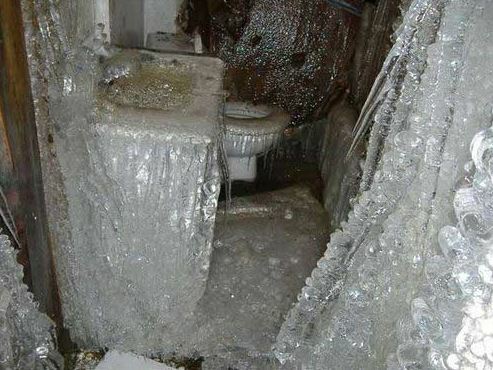 Frozen pipes are a serious matter here in the mountains. With many second homes up here, its easy to forget about freezing temperatures if you’re away enjoying the sunny Caribbean. Fortunately, this photo is not of a Creston property, but a poor fellow elsewhere. When temperatures get below freezing and stay there, it doesn’t take long for water pipes to freeze. You may recall from Eighth Grade Science class that freezing water expands. When you have water in pipes that freezes, it can crack the pipes and once the frozen water thaws, it gushes out of the crack. If you’re not there to catch it, your house could end up like the one in the photo if it refreezes. There’s an easy solution, and that is to keep the heat around at least 50 degrees inside, open cabinet doors under sinks and leave a faucet on a slow drip. You may even leave a light on inside your crawl space. If you use propane as your heat source, make sure you have plenty on hand. A thermostat set on 55 degrees won’t do you any good if you run out of propane! Likewise, you’ll want to make sure the exhaust vent to your heating system doesn’t freeze over. What’s that mean? Propane heat creates condensation which is blown outside the house, typically through a PVC pipe in the foundation wall. If you’re not careful, that condensation can freeze and block the exhaust line. When that happens, the furnace will cut off automatically. How do I know this? Because it happened to me! Fortunately, I was at home and when I awoke to an inside temperature of 50 degrees, I knew something was wrong. A strategically placed exterior flood light on an extension cord did the trick in preventing it in the future. Happy New Year from the “Front Porch of Western North Carolina”! While many of us are setting new year’s resolutions, we shouldn’t deprive ourselves of great food! After all, we still have to eat, so eat something delicious. Our quaint hometown of Black Mountain is unmatched when it comes to the outstanding offerings for such a small town. There are nearly three dozen independently owned restaurants in our community featuring nearly every food style and culture. In town you’ll find upscale places like The Artisan Gourmet featuring crepes and a grocery featuring locally raised beef, sausages, cheeses and a wide selection of wines. Think of it being a miniature “Dean & Deluca”. Or perhaps you want more down home fare. If so, consider Louise’s Kitchen or Blue Ridge Biscuit Company for a hearty yet healthy home style breakfast. Nothing says “western Carolina” more than a meal of southern comfort food at the Red Rocker Inn. Or perhaps your taste buds are taking you to the Far East. Then consider Tai Basal Indian cuisine or the very authentic Sake-Sushi for Japanese. Something sophisticated? 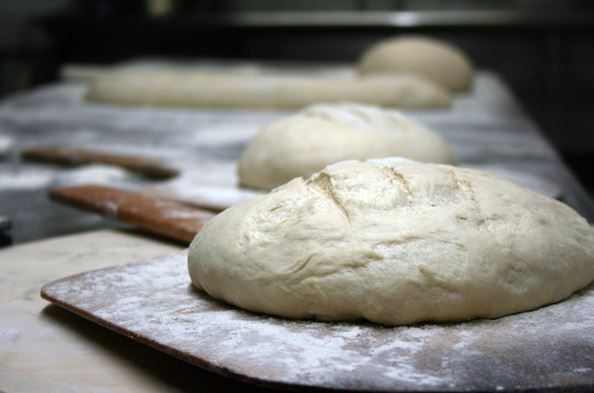 Try the Black Mountain Bistro, The Red Radish or perhaps an artisan pizza at Fresh Wood Fired Pizza. There are simply too many to name in this post, but rest assured; you don’t have to travel to Asheville for a great meal. Just fifteen minutes from the gate of Creston, and you’ll find yourself in this culinary hot spot known as Black Mountain. So bon appetit! 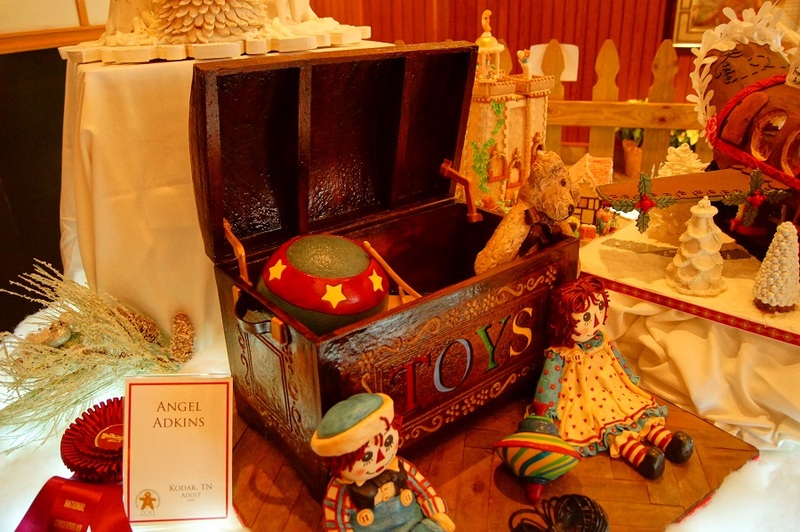 When in the Black Mountain and Asheville area, a great Christmas tradition is to tour the creations of sugary confections at the National Gingerbread House Competition held each year at the Omni Grove Park Inn. Yes, there is actually a national competition and for many of the participants its serious business. A $10,000 cash prize is on the line and an appearance on one of the national morning news shows. Of course there are entries from all age groups including youngsters using the traditional candy canes and sugar sprinkles. But then there are those who plan a year in advance with the precision of architects and engineers to build their masterpieces. Everything except the tray underneath must be edible. The cost is $10 to park at the Grove Park, but otherwise no charge. One of the benefits of being a Creston property owner is our proximity to George Vanderbilt’s Biltmore Estate and Winery. The drive time from the Creston gate to the Biltmore gate is just 35 minutes with most of it being four lanes. 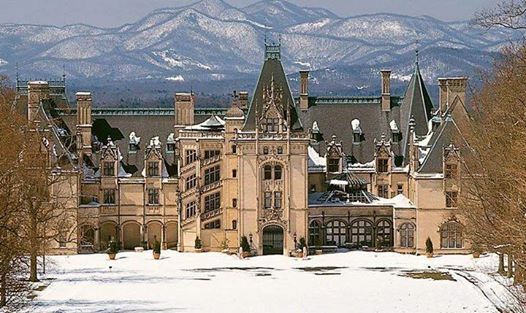 If you’ve never visited Biltmore during the Christmas season, you simply must. My wife and I just spent the day at the house and the period authentic decorations are beautiful. Dozens of trees decorate the house, including the 35’ tall tree in the Great Hall. For an extra special visit, choose the Candelight Tour option and see the house lit up for the evening. Here’s a link to a time lapse video showing the raising of the tree in the Great Hall. Enjoy! Creston Development, LLC is pleased to welcome John Haynes as the new General Manager representing the development company within Creston. John is a 27 year real estate veteran having started in the appraisal business before becoming a corporate acquisitions officer for two Fortune 500 companies. 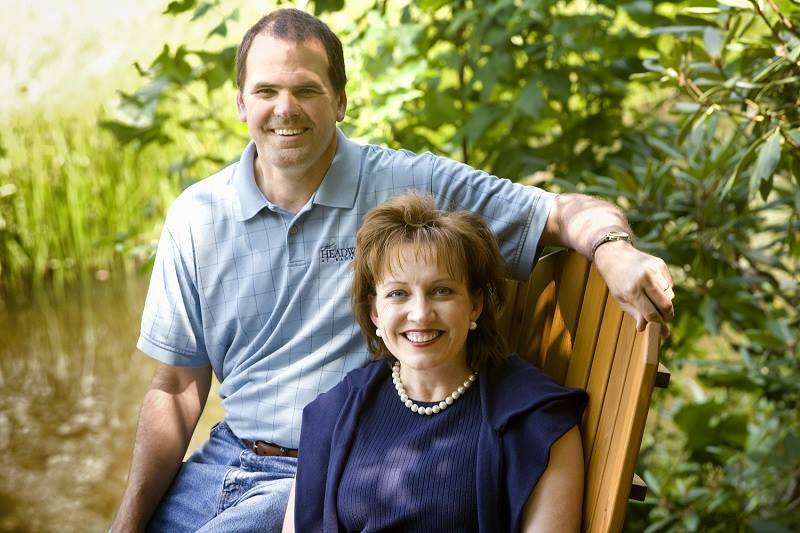 He later ventured out on his own and has developed five communities here in North Carolina, including The Headwaters at Banner Elk, a 900 acre second home development in the North Carolina High Country. During John's tenure there from 2005 to 2010, he oversaw the development of $14 million of amenities and infrastructure as well as the sale of more than $33 million of real estate. His marketing prowess was recognized by area professionals as being among the best and the result is that Headwaters outsold its direct competitors by a large margin. Dozens of letters of reference attest to his character and skills. John has handled all aspects of land development including design, construction, marketing, sales and permitting including the management of three property owners associations. He understands buyers and has the goal of helping them find the right property and then guide them through the process. John and his wife Josephine have been married 27 years and recently relocated from Boone to Black Mountain. They are proud parents of twin boys.